In keeping with previous posts, here is a list of all Office 365 MVPs as of 6/10/2015 (update coming July 1st)…At the bottom is a powershell script that you can run to follow all the SO365 MVPs in one go! In keeping with previous posts, here is a list of all SharePoint MVPs as of 6/10/2015 (update coming July 1st)…At the bottom is a powershell script that you can run to follow all the SP MVPs in one go! Maybe we need a reverse proxy on the VIP? Let's add that? Chris – "OK guys, let's start at the bottom and work our way up the OSI layers…"
5 hours over 5 days wasted, frustrated, starting to think they were crazy F5 guys…all because the network guys didn't setup our subnet properly. What was happening is the SharePoint servers had a huge subnet configured. This caused the SP servers to think that the ElasticSearch servers were on the same subnet but weren't. Therefore when it couldn't connect to them using layer 2, it would kill the TCP layer. Awesome. So let's walk through these steps in a bit more detail shall we? You can now take that tweet image and import it into a word document using the System.IO.Packaging namespace. From there, you now need to upload the word document with the tweet image to your O365 instance. This can be done using the CSOM libraries. Sharing an item can be done via some hidden HTML post apis…this ensure that the shared item shows on the other user's feed. However, if the users doesn't exist…you need to add them to your Azure AD tenant…this can be done by calling an obscure undocumented api…check out the "CreateUser" method. If you wait a while…UPS will pick up this new Azure AD user and you will be able to tag the user as the creator and modifier of the new word document…errr..umm…tweet. Which means you might have to run this more than once for each tweet (ah…the life of a lazy Saas app). Stop Killing Yourself Drop Kerberos – Go Claims! Why…why put yourself through the agony? To be fair and relatively speaking, kerberos is easy to setup and manage, but its old and stupid. The whole design is to keep you from tagging the auth controllers each time you login and be able to "delegate" your credentials to some other system so it can do something "on your behalf". Hmm…that sounds familiar….claims based auth with auth tokens anyone? Not a single Saas App uses kerberos…so why are you still using it? Its just stupid. If you have a product that relies on Kerberos, then you are living in 1999. Fast forward 16 years later…. YOU SHOULD DROP ALL THINGS KERBEROS. Drop those old apps that you don't need anymore for ones that support claims auth and have so much more functionality than the old ones you have. It's time. Really. You can let go now. BUT CHRIS I CAN'T CUZ…THE VENDOR HASN'T UPDATED THEIR SOFTWARE…. Well…time to drop that vendor's software. Yeah…tell the Microsoft SQL Server team (isn't that the only reason you still use Kerberos?) to get with the times. Its ridiculous that they don't support claims based auth and delegated auth based on Claims based tokens. Time for software vendors and engineering teams to step up. 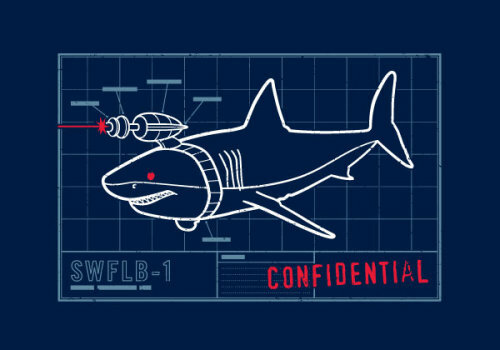 It's freakin 2015…I want my sharks with lasers damn it. Wait What?!? Chris is Joining ShareSquared as CTO? Jim Duncan is a just simply a rock star. It has truly been a pleasure watching him work for the past two weeks. He's technical, he's a great manager and leader…and he just simply does an amazing job at managing the projects. I'm looking forward to continue to work with him and hopefully automate many of the tasks that are…less than pleasurable! John Honeycutt and Jeff Gunn are on it. It is simply amazing to watch them close deals. They have some insane close rate that even the guys and gals at IBM would be envious of! They will be keeping Jim and I busy for a few years to come! So far, the guys are awesome. They work hard, they want to do good and they ask questions. Everything you'd want from a team. We will be bringing on two more people in the coming weeks and I'll let them announce their "move". ShareSquared offers a set of people that can provide some of the extra oompfh that I need to get some of these ideas out into the wild. They also have a couple of products that have some potential with some real-world tender love and care put into them. Southern California (SoCal) is my home. I love it and I hate being away from our lovely home in the "Ranch". Lidiya and I have built quite the setup in San Diego. The kids are awesome. We have super smart, successful friends such that we all feed of each other to make and drive us to do bigger and better things. Staying home or being able to hop on the train to LA, do a meeting or two and be back in my own bed the same day is priceless. A laser focus on SoCal (the 8th largest economy in the world) is enough to keep me busy for quite some time. So fret not if you live outside SoCal, but you should take notice now that we are coming after you if you are doing business in SoCal. But no matter what the consulting and product battlefield brings, your always welcome in our house! keeping us occupied with taking over the world or justifying why we make you 100s or 1000s of thousands of dollars and we don't get a significant cut. of working for them, and the salary offers were quite large, but with no possibility of a big payout in exchange for building them something amazing. anywhere significant in this world by working solely for a salary. focus on the equation that drives everything I do personally……..
about money (<<<insert wife side remark here>>>). I'm incredibly excited about the productivity "signals" that are about to be released to the world via Office 365. You will be able to see exactly who is working and who is not. Office is all about productivity (saving money). I'm going to be focused like a hawk on value based solutions around the "C" part of the equation. I'm not going to do any projects that are simply a "Cost" line item, I'm happy to pass those on to my competitors to bloody their name instead. ShareSquared has some incredibly strong software ISV relationships. Some of these companies I have not been that close too, but have watched from afar as they have penetrated tons of accounts and made serious money for themselves and their partners. A big part of our strategy will be to continue to focus on those partnerships. Personally I am very excited to be able to implement some of the newer partner product offerings that ShareSqaured is selling. Ruling SoCal will take some serious wheeling and dealing. You can't fill up the CRM database by solely making cold calls. To be able to scale and grow the company means making some big moves. I'll be involved in a lot of the growth and partnership strategy for ShareSquared and how we will make it to our "magic" number. I can't share exactly how that will be done, but I definitely have quite a few things in the pipeline that I hope will get me that much closer to making my personal goals related to ShareSquared's future. Starting a new company is not easy. Growing a company is not easy. Nothing you do in this world is easy. I'm looking forward to the challenges that ShareSquared and David Kruglov is presenting me.